misty, originally uploaded by jahansell. 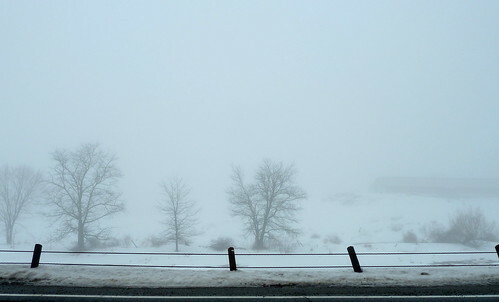 Yesterday there was tremendous fog for a little while...when I stopped along Route 44 to take some pictures I couldn't stay long because trucks were careening by and it didn't feel safe. So I didn't quite get the shot I wanted, but you get the idea!